It also has a world class, gold medal ability to stain anything that comes into contact with it–so handle with care–or rather with a spoon is the rule! 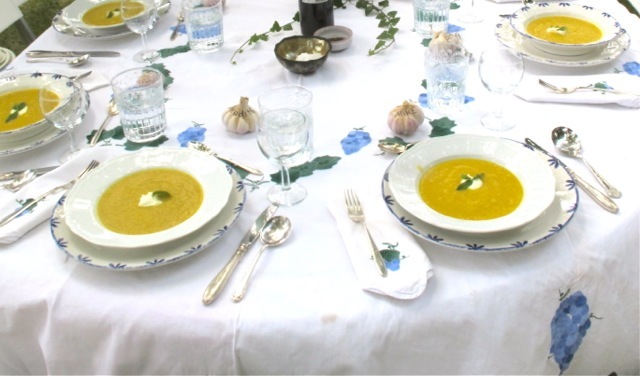 It helps give this stunning summer soup–suggested almost as an afterthought in the lovely Riverford Farm Cook Book–its luminous colour. I used Fuji last time, which are a favorite apple for me. Next time I want to try Granny Smith. You could try a mix too. 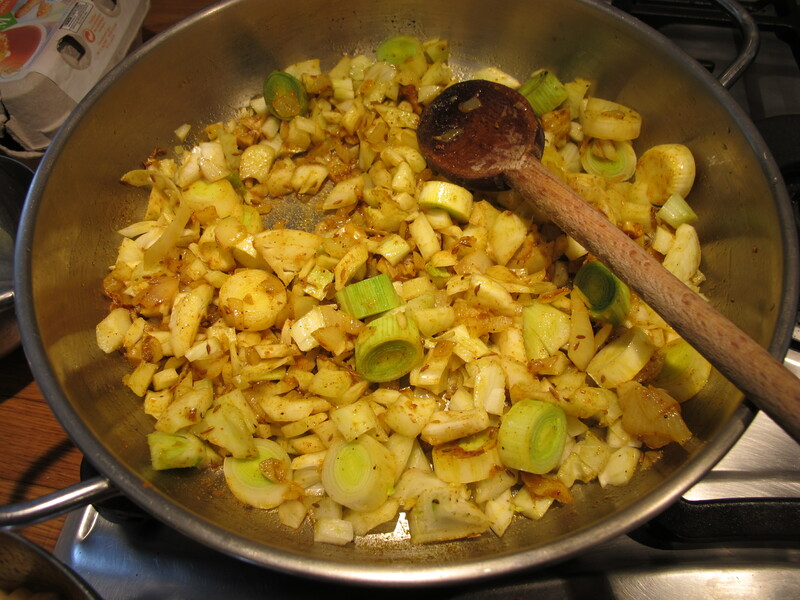 Add the onion and sauté gently to soften. 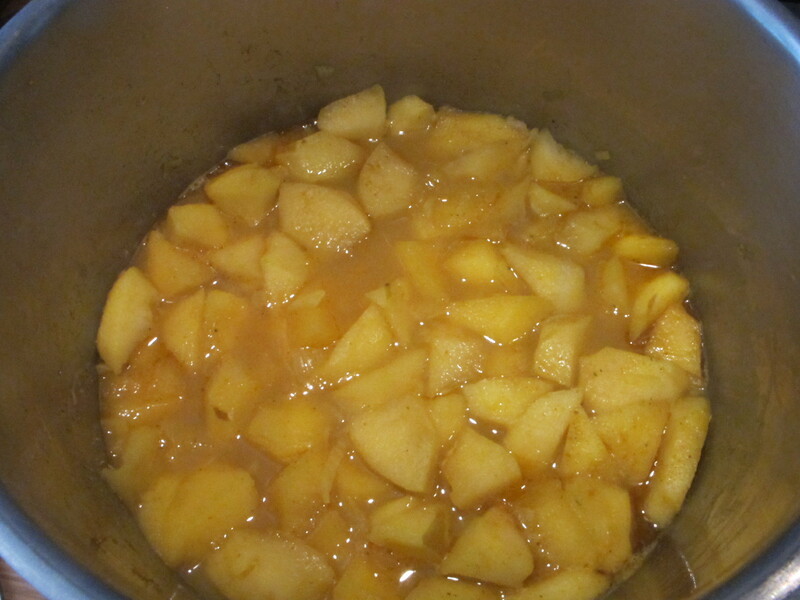 Add the apple pieces and the spices and mix in. 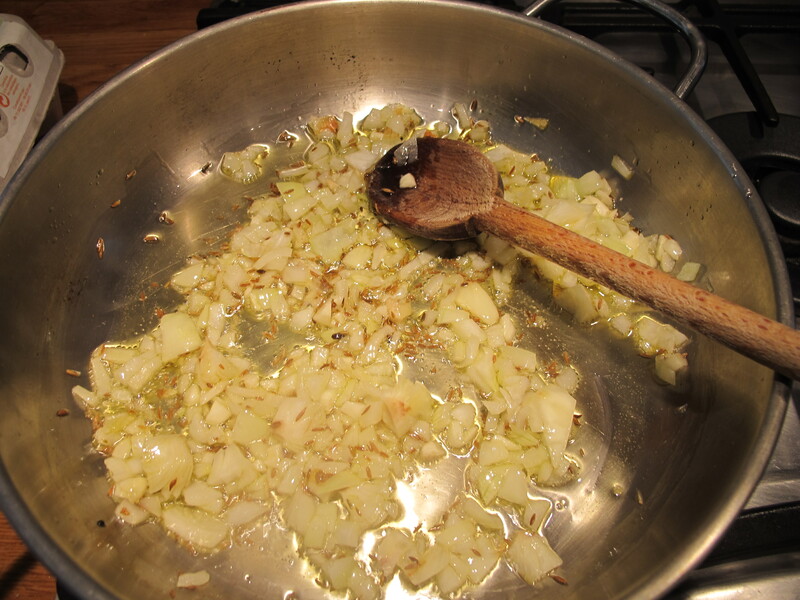 Add the stock and simmer gently for fifteen minutes. Liquidise to a smooth texture, using a food blender or hand mixer. A ladle and a half per bowl is perfect. Top with a teaspoon of creme fraiche or yoghurt and a leaf of mint for garnish (if you have it). 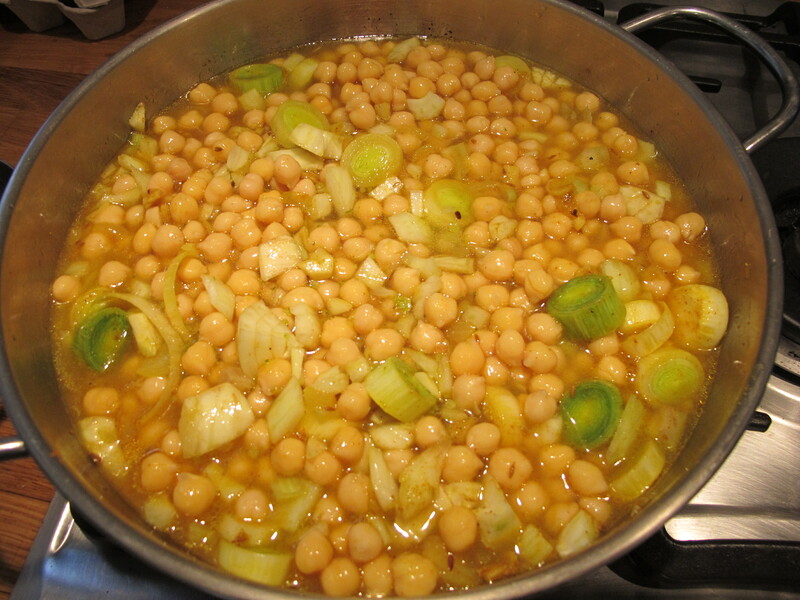 We asked guests at lunch a couple of days ago to guess what soup they thought it was–it puzzled a few! Serve it hot in the new apple season to come too! 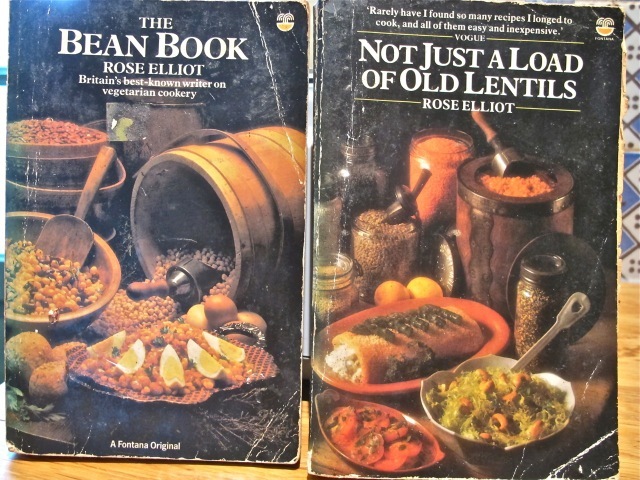 My copies of Rose Elliot’s vegetarian cookbooks, Not Just a Load of Lentils and The Bean Book, have been on my bookshelves for ages and are much thumbed! First published in the 1970s, her recipes have withstood the test of time–and the ingredients often fit in with my adopted way of eating. 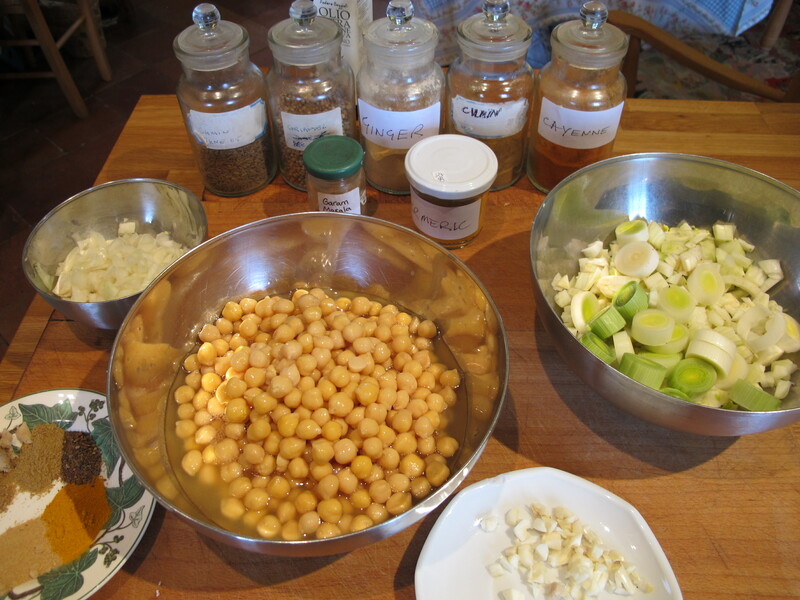 This is adapted from a recipe in The Bean Book. 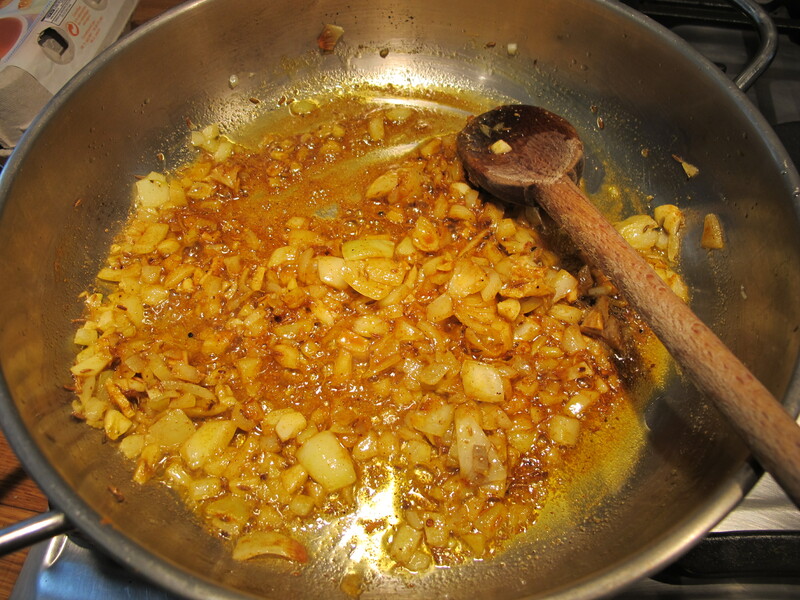 I made it in the morning and gently reheated it in the evening–giving the spices time to settle and meld. We had it for supper last night and it was worth the wait. 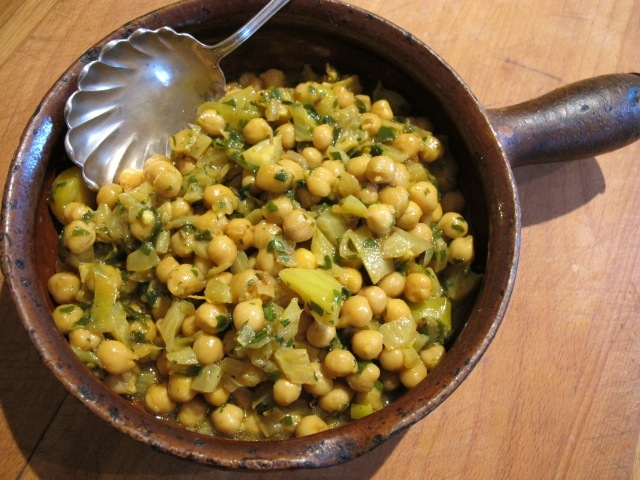 Meredith is wary of pulses because of their tendency to cause flatulence. This time the positive outweighed the negative and she gave it the thumbs up–phew! Brown basmati rice and yogurt sauce (see the next post).